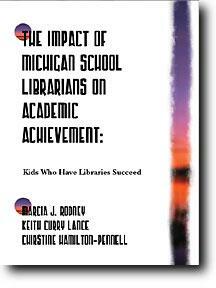 Another state study adds to the evidence that school library media programs contribute to achievement. Michigan Educational Assessment Program (MEAP) reading test scores rise with the extent to which the stateís school library programs are headed by qualified school librarians. The relationship between school libraries and test scores cannot be explained away by other school or community conditions at any school level. This publication contains the entire study complete with statistical evidence and handouts for reproduction. Marcia J. Rodney, Keith Curry Lance and Christine Hamilton-Pennell; Hi Willow Research and Publishing; 2003"